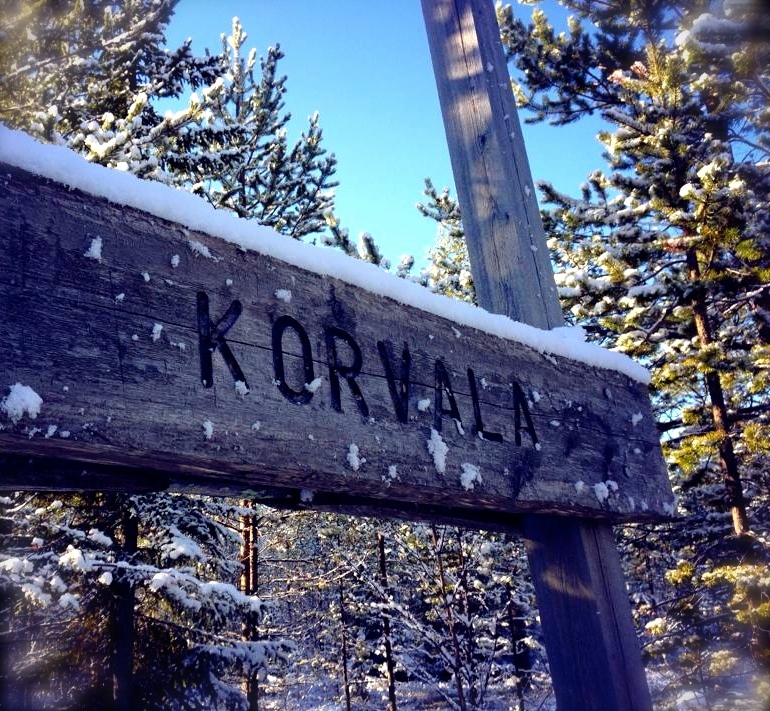 Seven days ago, a tornado ripped through Life As I Know It, shook things up in a snow globe fashion, and dropped me and a backpack overstuffed (like, really overstuffed) with Life Part Deux in Arctic Lapland. I’ve completed the Quit Your Day Job phase and I’m in full transition to See The World. 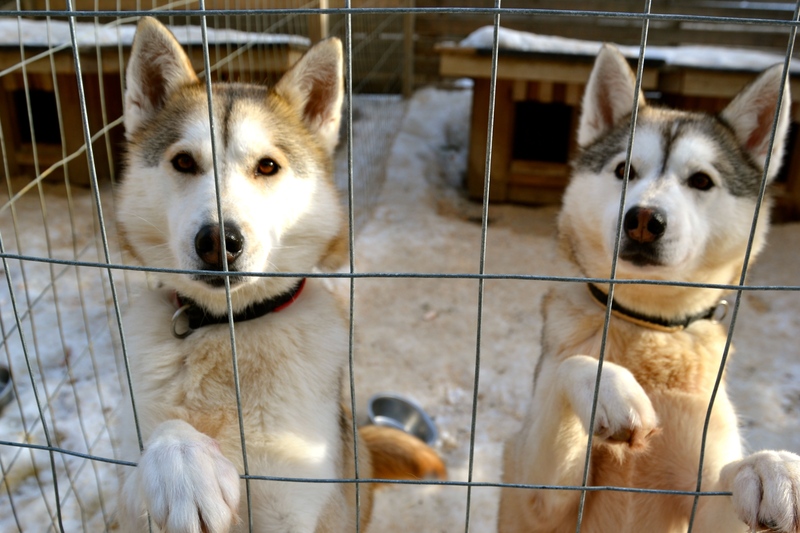 My brain caught wind of this and quickly deleted eight years of work data to make room for getting to know 60 Siberian Huskies with delightful Finnish names like Iisku, Juoksa and Hitutale, and no, you did not pronounce them correctly. I literally dream of their beautiful faces and quiz myself on their names in my sleep. I haven’t slept this well in years. 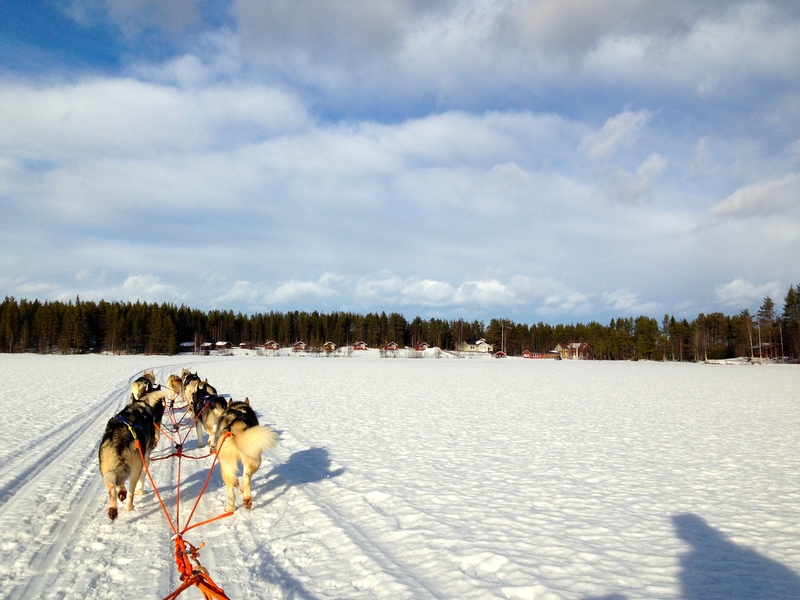 In seven short days, my life has untangled itself and simplified in this incredible way, filled with Scandinavian history and culture, manual labor, dog kisses and cuddles. And I love it. Of all the countries who consider English their mother tongue, The United States has the most unexciting accent and vocabulary. The twelve-year-old twins of the English/Finnish family I am staying with sound more mature and refined than I do. It appears NO ONE is happy about this winter. I left a very cold place, where I can still hear people whining about the excessive snow and begging for spring, for a kind of cold place where people are shaking their fists at the spring-like weather, praying the overcast skies will squeeze out more snow. 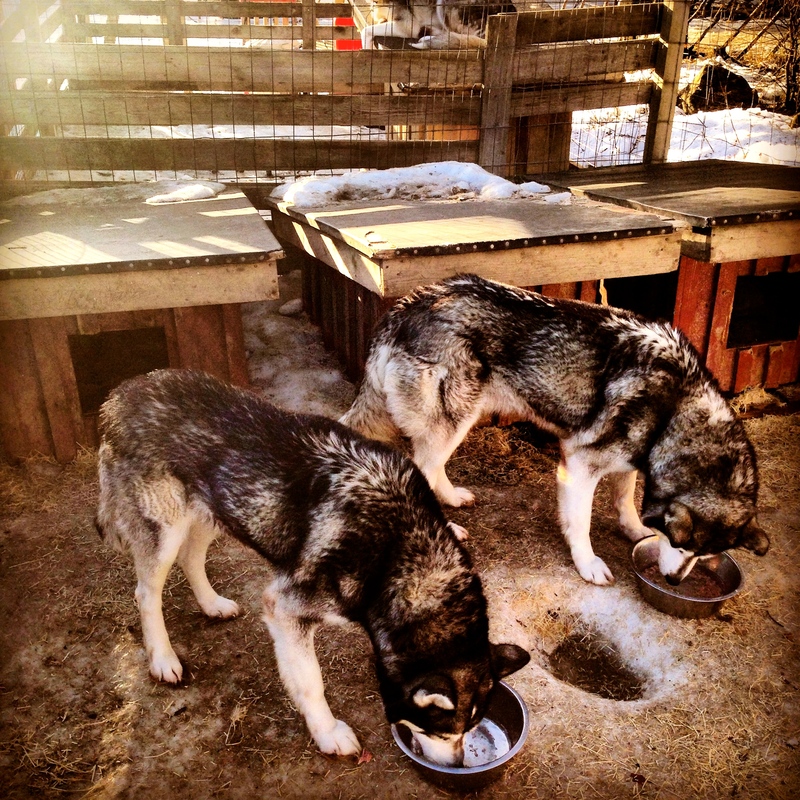 Within two hours of my arrival at Usvatanssin Kennel, I learned how to prepare a dog sled, harness a sled dog, transfer eighteen incredibly powerful, energetic, ready-to-run NOW Siberian Huskies from the kennel to the dog sled, and took my first Husky safari as a very happy passenger. Twenty minutes later my hands were wrist deep in reindeer meat and bones. I used to have clothes. Now I have clothes and doggy clothes (clothes I don’t mind getting covered in poo, reindeer bits, meat juice and other goo). I mostly just have doggy clothes. A few days ago I donned a traditional Finnish outfit to welcome the hottest pop star from China, Lin Yulin, his posse, and some important folks from China and Australia. It was…interesting. Soooo I know I’m not old, but I am certainly not in my 20s anymore, and feeding oodles of dogs and scooping their body weight in poo serves as a daily reminder. My baaaaack huuuurts. My idea of cleanliness has taken a wild left turn. I no longer hesitate to pick up poop with my hands (It’s mostly frozen anyway, right? Except those that look frozen, but totally aren’t). The reindeer goo that seeps through my gloves, creating this sticky, smelly mess doesn’t bother me. 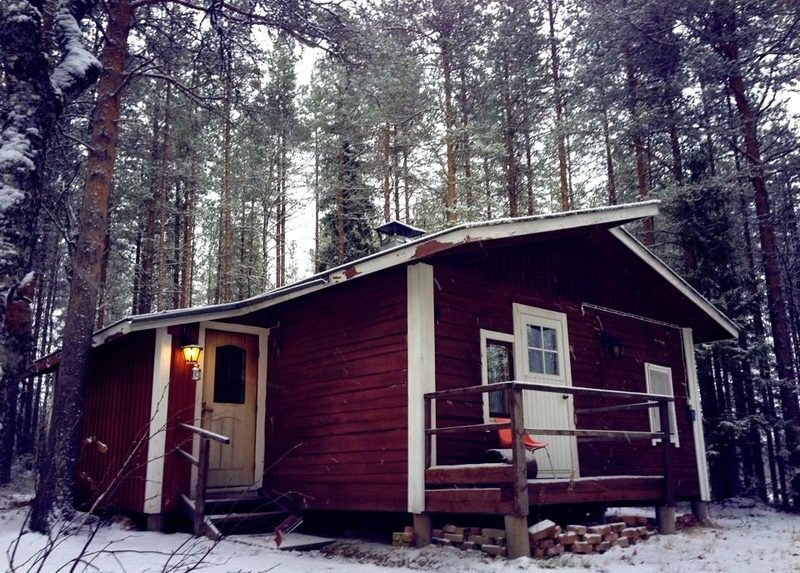 If the cabin was big enough, I’d take all 60 dogs inside for a nightly cuddle. My face is constantly covered in husky kisses and probably doggy poo. I wear the same clothes every day. I’ve tried to scalp myself three times by running into the same low beam in the same kennel. I know it is there. But I will forget again tomorrow. You know those parents who have 200 stories about the cute stuff their 2-year-old does? I can slowly feel myself turning into that parent. Only I have 60 children and they are way more adorable than yours. The moment you pull your first rope, undoing the knot that sets your team of huskies free, is a moment you will never get back. There is only one first ride. And it is spectacular. 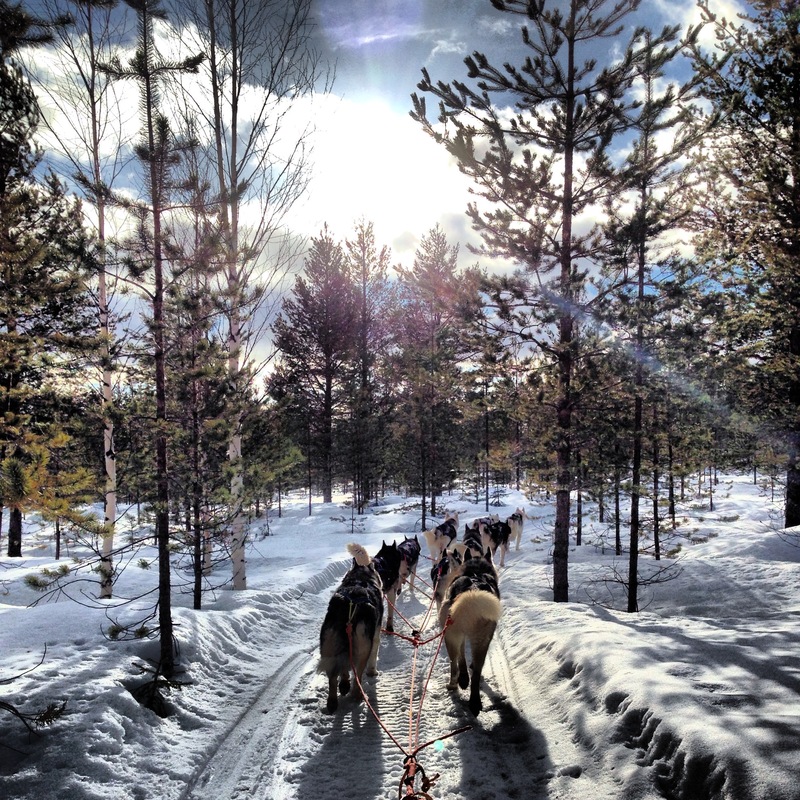 The second I stepped off my sled after driving my first team, I told my dogs I would gladly go elbow deep into reindeer bits, bones and goo to experience that again. This past January, in a tiny tent at the End of the World in Patagonia, Ushuaia, Argentina, I resolved to forget the past, connect with myself, wake up and be present. Sounds simple enough, but turns out, is much more easily said than done. Until now. Finally, here near the top of the world, I feel I am doing a bang-up job. 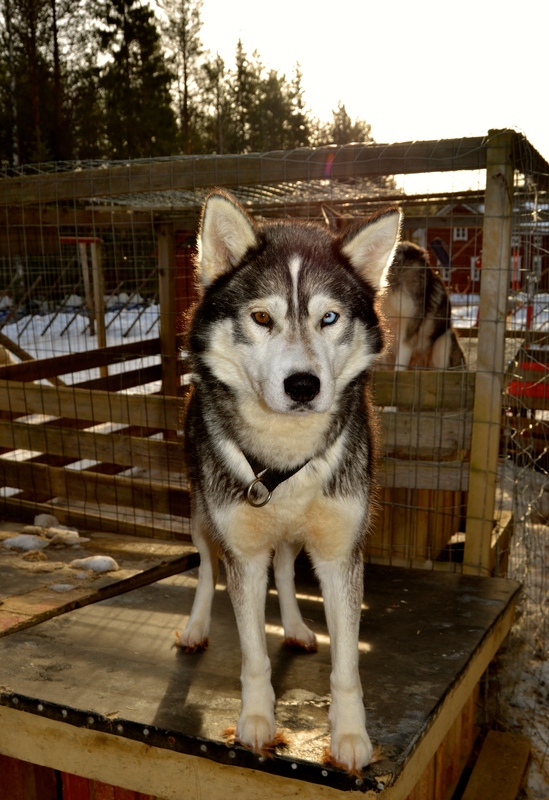 And now it’s time to go feed the puppies and bring in Iinna and Ivan for our nightly cuddle. 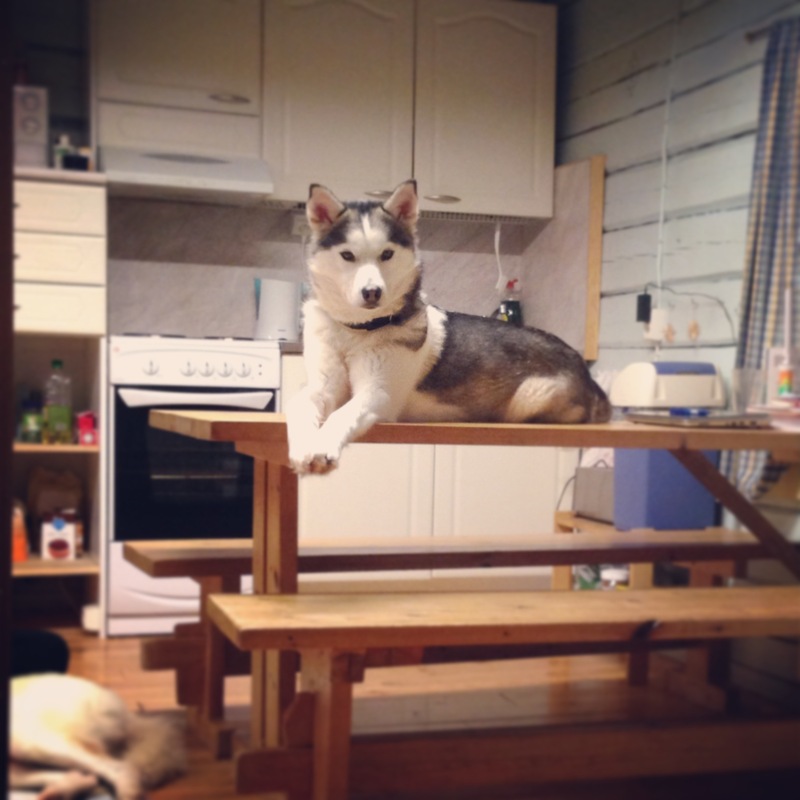 Beautiful Iinna on the cabin table. Driving my first team with Sigga, Greta, Gina and Ginger. And yes, I was a little scared to let go of one hand and take this picture. 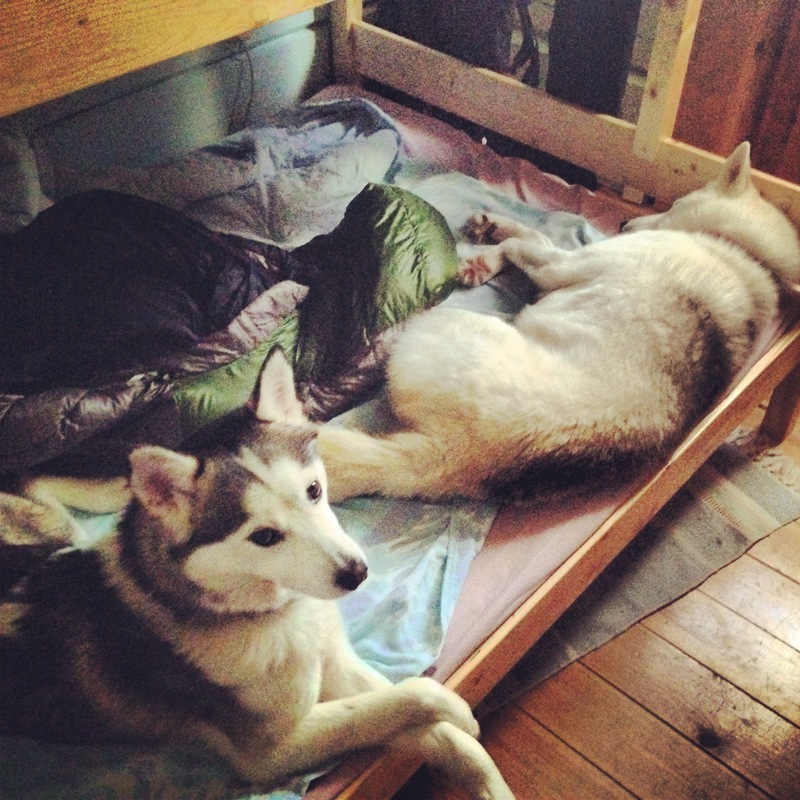 My bunkmates, Iinna and Ivan. Feeding time. Sirius and Seemi. 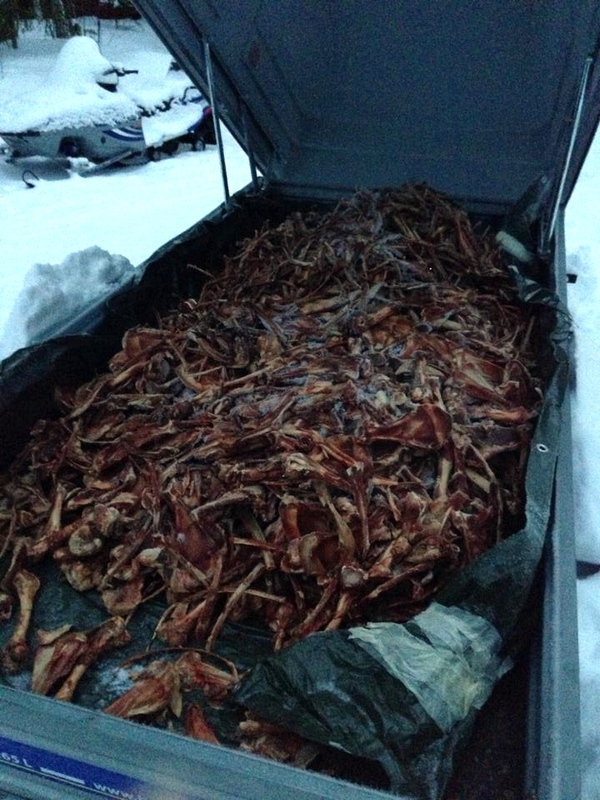 Reindeer meat and bones and other goo. On the trail. Photo cred: Sally. My home. Photo cred: Sally. 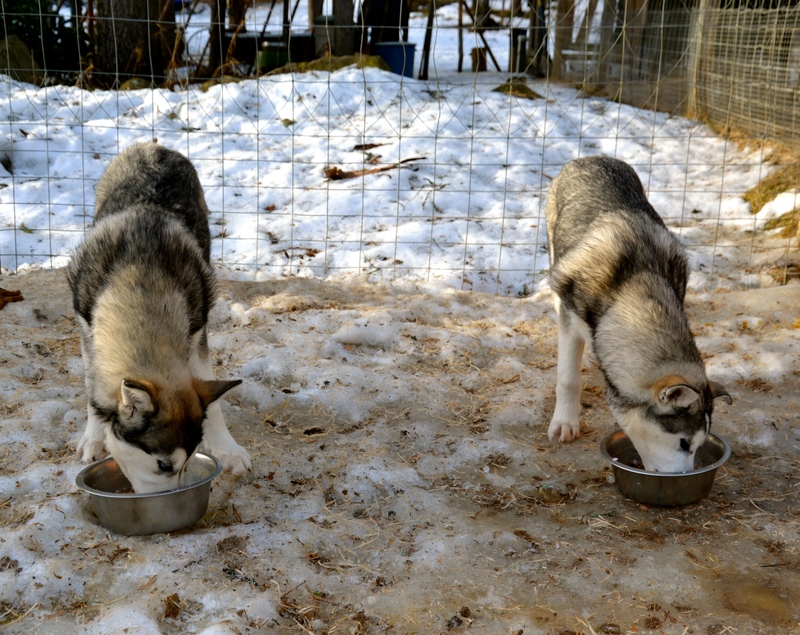 Feeding the puppies, Troika and Tupla. Wow!! Woooowww!! What an amazing ride you’re on! 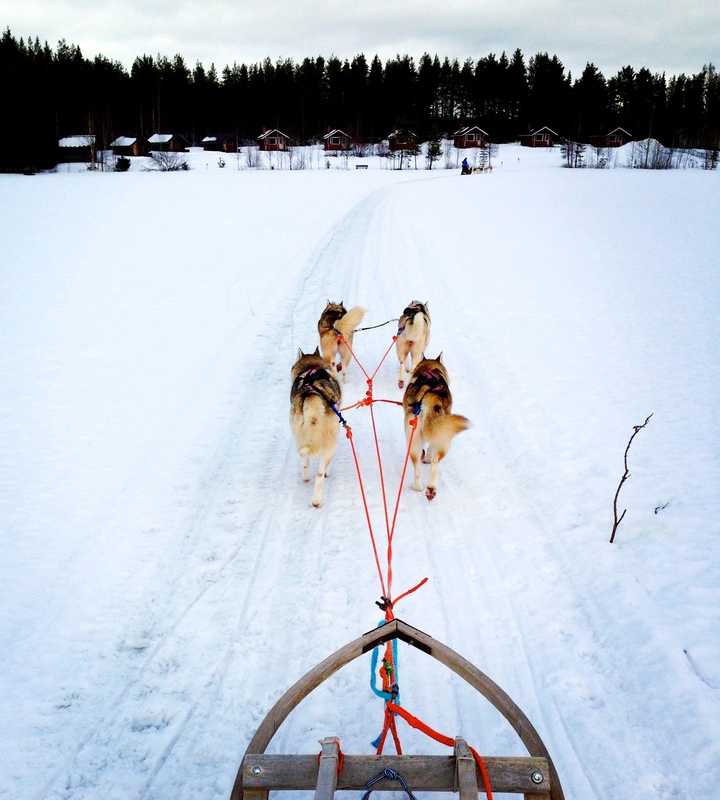 (Life & The Dog Sled). It has to be a type of gratification I’ve never had the pleasure of feeling – quit your job & go. You’re amazing & can’t wait to read more about your adventure! Thank you so much! It’s been an exciting journey so far. One of the best parts is definitely being able to totally focus on what I am doing RIGHT NOW instead of everything I have to do/get done, etc. It’s only been a few weeks and I have no idea how it can get any better! Way to seize the day! Sounds like you are feeling really fulfilled. Jealous. You did tell me. I just met Lorin, who worked with you in Hetta. Small world here in Finland! Sirius with a blue and an orange eye. How cool is that. Keep the words and pix flowin’! We won’t tell Elisa or Elliot about all those puppy kisses, cuddles, and all around lovings that is going on between you and 60 squirmy doggies okay? No need to worry those little critters back here I’m thinking….